The Minister for Defence Procurement, Harriett Baldwin, has formally opened a huge state-of-the-art £83 million MOD logistics centre in Shropshire. 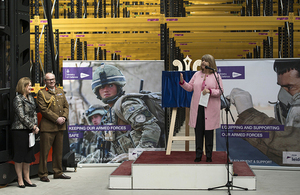 The Minister for Defence Procurement, Harriett Baldwin, has today formally opened a huge state-of-the-art £83 million MOD logistics centre in Shropshire, which will streamline distribution and storage, delivering savings of around £500 million by 2028. The 80,000 square metre Defence Fulfilment Centre (DFC) is the size of ten football pitches and will revolutionise the way we support our Armed Forces across the world. It will be a central hub for the storage and distribution of Defence’s £30 billion inventory, including spare parts, food, clothing, and medical supplies. The Defence Fulfilment Centre in Donnington will transform the way we store and distribute essential supplies to the Armed Forces who keep us safe. Supported by our rising defence budget, this £83 million investment and partnership with leading logistics specialists is concrete evidence of our determination to give our personnel the very best support wherever they are in the world. The DFC has been delivered to time and on budget and consists of two warehouses and a support building. 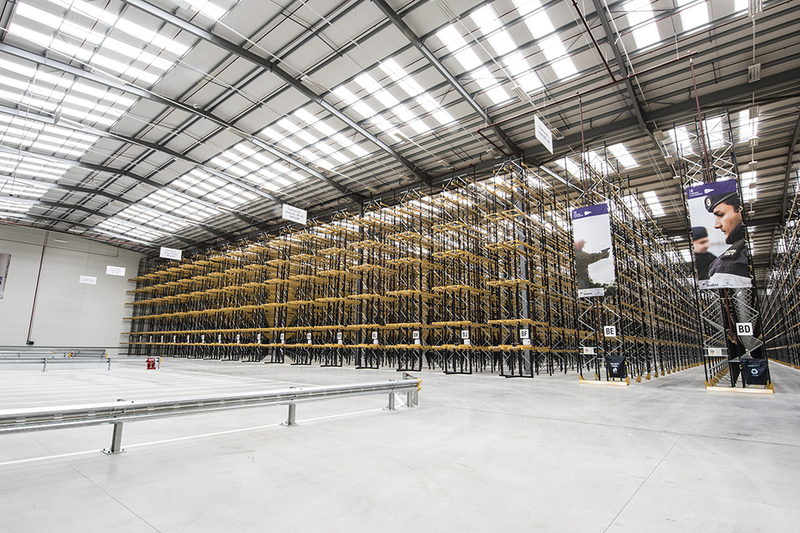 The facility, based in Donnington and managed by Kuehne + Nagel on behalf of Team Leidos, will use new warehouse management systems to maximise value for money and manage the complex supply chains of the 21st Century seamlessly. Alongside special environmental storage, the DFC’s automated storage and retrieval system will be capable of picking more than 1000 items an hour. The Defence Fulfilment Centre will transform the way we support our servicemen and servicewomen. Contribution to Operational Readiness through the provision of supplies and commodities to our Armed Forces will be on a par with industry best practice as a result of this investment in state-of-the art facilities. The opening of this centre on time and on budget is testament to the close and positive collaboration between Defence Equipment and Support, and Team Leidos. I very much look forward to seeing this fabulous facility fully operational in 2019. The site has been opened as part of the Logistic Commodities and Services Transformation (LCST) programme, which aims to deliver our Armed Forces what they want, when and where they want it as efficiently as possible. The programme is being delivered collaboratively by the MOD and Team Leidos and will build an efficient and agile support network with the ability to support current and future military operations. The completion of the Defence Fulfilment Centre is an important milestone in our strategic plan to deliver enhanced information technology and logistics services to the Armed Forces. This state-of-the-art facility is a conduit to ensuring front-line troops can get what they need, when they need it, by offering a more efficient and effective processes across the supply chain.